Getting the garden in shape for spring requires hard work, patience and persistence. For gardeners, there’s no better feeling than sculpting our little landscapes, nourishing nature or making a meal out of food that we grow in our own backyards. We work with a specific vision in mind. But sometimes, even after the flowers are planted, the lawn neatly mowed and the hedges trimmed, it can still feel like something is missing. Complete your garden vision, add the finishing touch, and bring life to your lawn with these garden decorations! Pollinate your garden with this Mason Bee House. The non-aggressive and non-stinging Mason bees are named for their tendency to build nests in hollow reeds and holes. 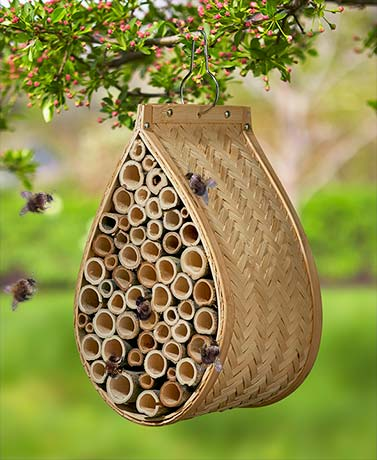 Give these gentle, hardworking bees a nice home in your garden and watch them get to work. 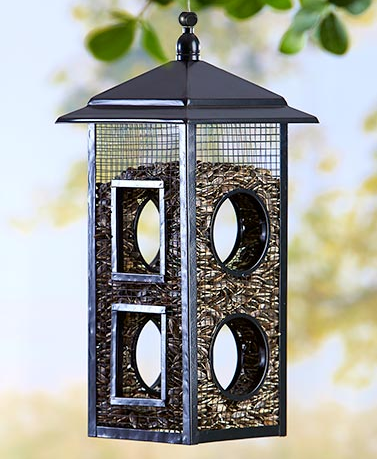 Perfect for birdwatchers, this Fly-Through Bird Feeder features eight entryways for birds to come and go as they please. Its mesh exterior holds up to 2 lbs. and makes it easy for birds to feed from the outside. The roof helps keep seeds dry and safe from spring rain. Did you know that a dirty hummingbird feeder is dangerous? Nectar can grow poisonous if left in the sunlight for more than five days. 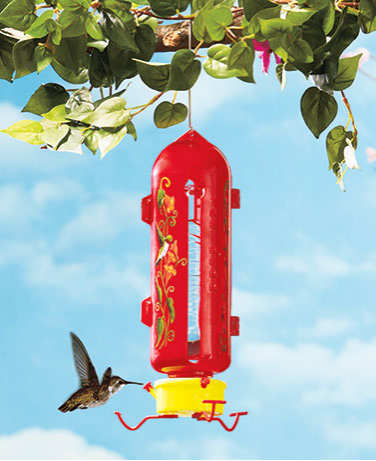 This handy Hummingbird Feeder solves that problem by preventing bacteria and mold buildup, and making it easier to change nectar. Spread your garden all around your yard, deck or patio with Set of 4 Sunflower Planters. 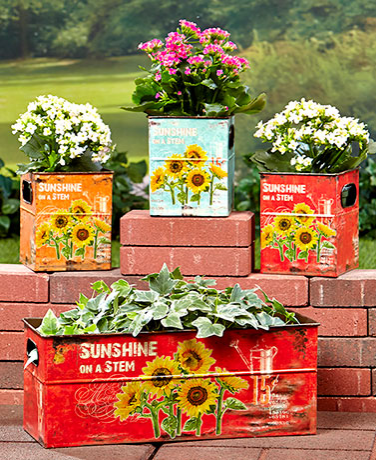 Each colorful planter in the set has a rustic sunflower design, as well as handles for easy carrying. 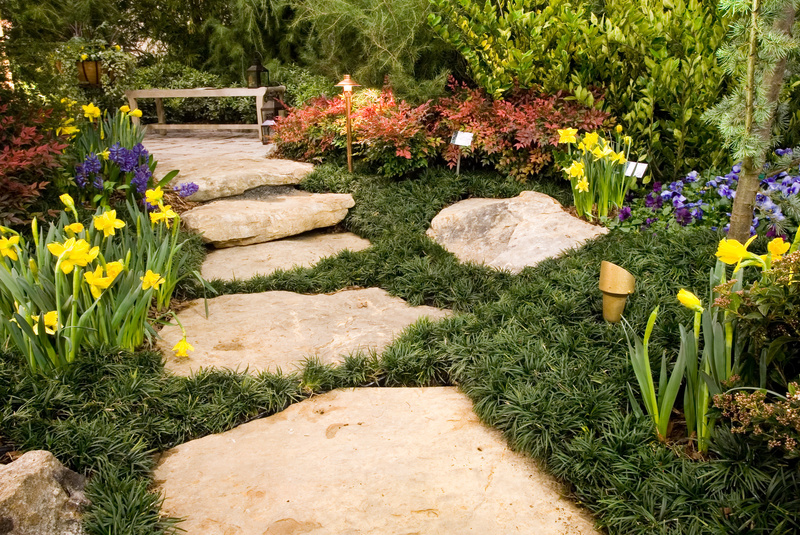 And the deep design is perfect for adding plenty of soil to help the plants thrive. Add a cute accent piece to your outdoor space with the Stacked Animal Planter. 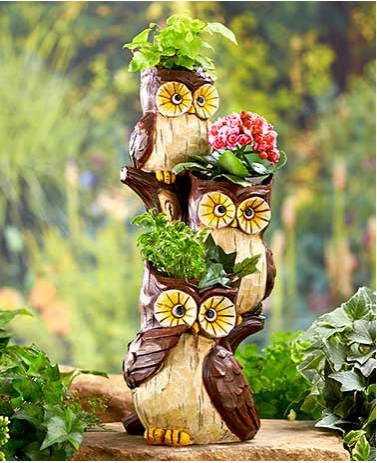 Fun and full of personality, the planter features a trio of animals stacked on top of one another, with a small opening on each of them that’s perfect for planting flowers or setting out birdseed. 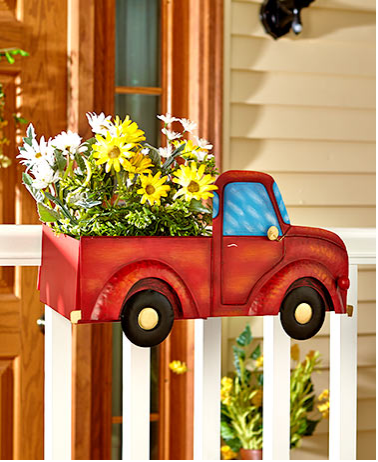 This charming planter is designed to look like a vintage truck, bicycle or sailboat. The no-tool assembly makes it easy to fix the planter on railings up to 2-1/2″W. Feature it on your porch or deck railing with your favorite flowers, and enjoy the look all the way through fall. 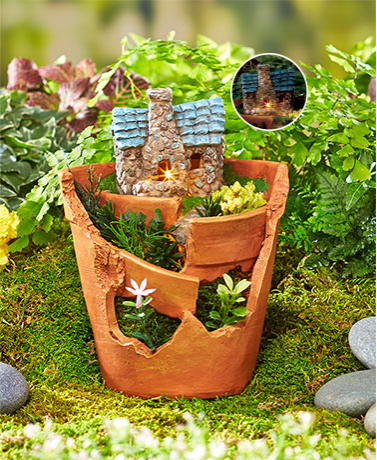 Use your favorite plants or flowers to create a little village in the Solar Lit Village Planter. It features a miniature scene with plenty of openings for plants to poke through. It also has a solar panel that lights up the house with an amber glow for up to 8 hours on a full charge. 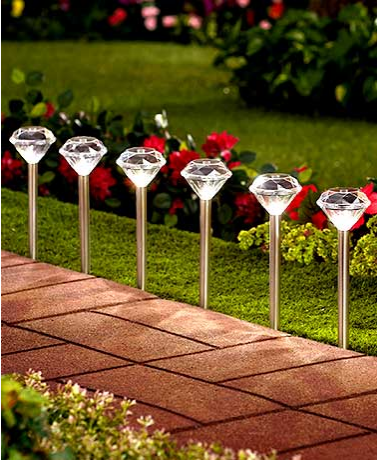 Design a beautiful path to your front door or light up your garden with this sparkling Set of 6 Diamond Solar Stakes. The solar panels charge throughout the day and illuminate with brilliant white light at night, adding safety to a walkway or putting your garden on display. 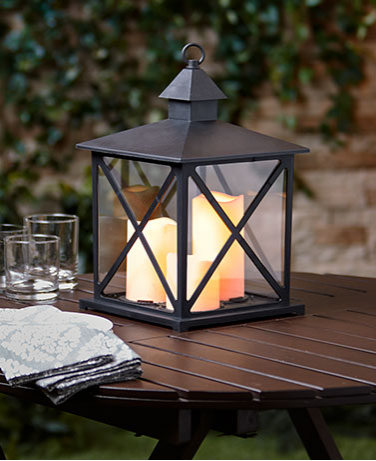 The Outdoor Triple Candle Lantern brings the realistic look of candlelight to your deck or patio without the safety hazard. The 3 flameless, battery-operated LED candles add long-lasting light, and the timer function switches the lights on for 6 hours and off for 18 hours. 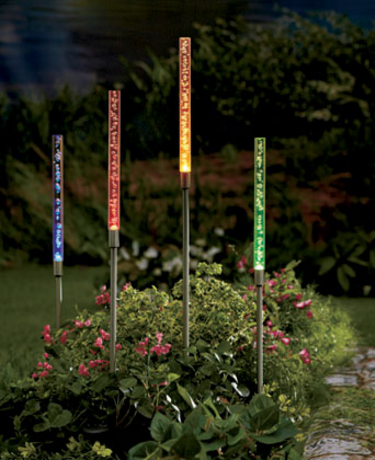 Tiny bubbles inside each tube in this Set of 4 Solar Tube Lights catch and reflect light, creating a nightly light show for your yard. The lights turn on automatically at dusk and offer your yard or garden a constant, colorful glow for up to 8 hours when fully charged. 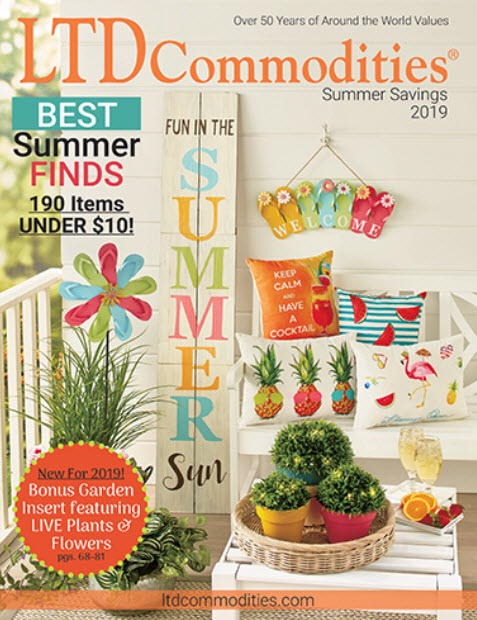 Explore all of our great garden decorations, garden tools and more at LTD Commodities. In searching our inventory for this product, we are no longer carrying this particular display. I also searched for similar products and found that we are currently listing the only similar item on our website. The ‘Stone’ is sold out, but there are a few ‘Brick’ House Number Displays in stock. Search Solar House Number Display Stones on our website.